Memorial services will be held at a later date for Michael Ray Jones of Carlsbad. Jones, 63, passed away Tuesday, April 25, 2017, at his home. Michael was born Feb. 9, 1954, in Odessa, Texas, the won of Henry Ray and Joyce Yvonne (Gibson) Jones. After graduating from Artesia High School in 1972, he worked locally for a few years before enlisting in the U.S. Coast Guard in 1976. He served in the Coast Guard for four years, earning the Good Conduct and Expert Rifle Medals, along with Pistol Marksmanship and Guard Unit Commendation ribbons. After the Coast Guard, Michael was employed at Agave Energy in various positions and ultimately as a plant operator. He was a member of the Elks Lodge in Carlsbad, the NRA, and the Rocky Mountain Elk Foundation. 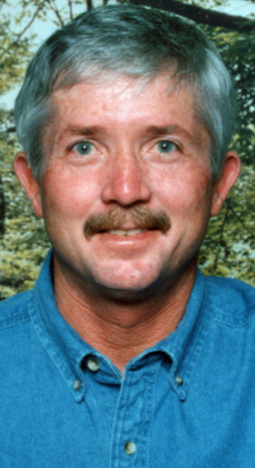 Michael was an avid gun collector, hunter and fisherman, as well as a die-hard Dallas Cowboys and Artesia Bulldogs fan. Survivors include his parents, Henry and Joyce Jones, of Artesia; daughters Stephanie Jones-Hall of Carlsbad and Denise Jones-Horn of Artesia; stepchildren Kathy McCombs and John Pinson, both of Artesia; brother Kelly Jones of McKinney, Texas; and grandchildren Alyssa Horn, Victoria Hall, Caleb Horn and Sydney Hall. He was preceded in death by his sister, Terri Steggs.